1. Which of the following emphasizes the right of citizens to quality education? 2. Which educational level/s provide/s for free and compulsory education as stipulated in Article IV, Section 2 of the Philippine Constitution? 3. Who among the following is in the category of non-academic personnel as provided for under Education Act of 1982? 4. How is gradual progression of teacher's salary from minimum to maximum done? 5. Which of the following is NOT recognized by the Magna Carta for Public School Teachers? a. Quality education depends primarily on the quality of socio-economic status of teachers. b. Advancement in education depends on the teachers' qualifications and ability. c. Education is an essential factor in the economic growth of the nation. d. Education is development and vice-versa. 6. What appointment can be given to Teacher A who possesses the minimum qualifications but lacks the appropriate but lacks the appropriate civil service eligibility? 7. Which of the following rights is intended for parents under Education Act of 1982? 8. What can help achieve relevant quality education? 9. Which of the following provisions under the Magna Carta for Public School Teachers will most likely promote teachers' welfare and defend their interests? 10. What does "teachers are persons in authority" imply? a. Teachers cannot be charged. b. No person can assault a teacher. c. Teachers have immunity from arrest. d. Decisions made by teachers are deemed right. 11. Who among the following characterizes a professional teacher? 12. Who are covered by RA 4670? 13. Teacher B has been in active service for 10 years when he decided to pursue higher studies. Under RA 4670, what kind of leave of absence can s/he avail of? 14. When can teachers be required to work on assignment not related to their duties? 15. Teacher C has been teaching 7 straight years and therefore qualities for a study leave with pay for one year. Should she pursue it, how much pay is she entitled to receive? 16. Which of the following laws strengthens teacher education in the Philippines through the establishment of centers of excellence? 17. What does free public secondary educational under the law mean? 18. Teacher D is assigned in a rural area; Teacher E in a depressed community; Teacher F in a hazardous area; and Teacher G in a place where standard of living is high. Who is entitled to a hardship allowance? 19. Teacher H contracted an illness that required rest for more than one year. Which leave should she apply for? 20. A school personnel can avail of free legal service under certain circumstances. Principal I was accused of maligning her neighbor. Is Principal I entitled to the said service? a. Yes, she should defend herself. b. No, if funds are not available. d. No, the case is not related to her professional duties. 21. Teacher J discusses conflicts between warring groups in Mindanao. Which pillar should he stress more? 22. Teacher K teaches in a public school in her locality. Due to teacher shortage, her classroom teaching starts from 6 am and ends at 3 pm. Is the assignment given her just? a. Yes, the situation demands that she render longer teaching hours. b. Yes, as long as she signs a conforme letter to that effect. c. No, rendering longer teaching hours would make the teacher tired and exhausted. d. No, Magna Carta for Public School Teachers states that in the exigencies of service, any teacher may be required to render more than six hours and n ot more than eight hours of actual classroom teaching a day. 23. Teacher L, a graduate of BSEd with majorship in Mathematics teaches in a national high school in her province. Since she has been rated outstanding in her performance, can she be exempted from taking the LET? a. Yes, that is a privilege that must be given to teachers whose performance is outstanding. b. Yes, if approved by PRC. 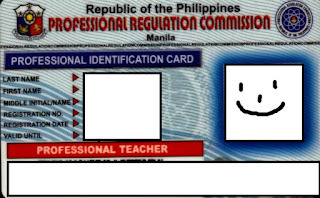 c. No, RA 7836 states that no person shall practice or offer to practice the teaching profession in the Philippines or be appointed as teacher to any position calling for a teaching position without having previously obtained a valid certificate and a valid license from the Commission. 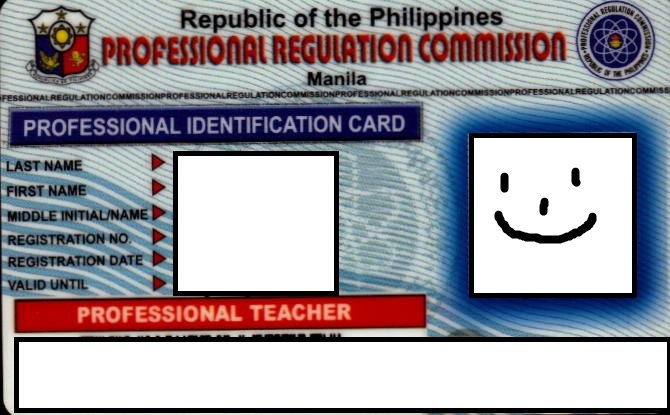 d. No, professional license is required of all teachers regardless of age and teaching performance. 24. Which of the following statements is NOT true about the Code of Ethics for Professional Teachers? 25. Which of the following could be the reason for the teacher's suspension from the practice of the teaching profession? d. Willingness to attend seminars, workshops, conferences and the like or the continuing education program prescribed by the Board and the Commission.